A U.K. judge has found that the Samsung Galaxy Tab doesn't infringe on Apple's design patents, and added that it isn't "cool" enough to be confused with the design of the iPad. Judge Colin Birss ruled on Monday in London that consumers weren't likely to confuse the Galaxy Tab and iPad, according to Bloomberg. As a result, Samsung was found to not be infringing on Apple's patents. "(Samsung's tablets) do not have the same understated and extreme simplicity which is possessed by the Apple design," Birss said in his ruling. "They are not as cool." The judge found that Samsung's products were distinctive from Apple, as they are thinner and have "unusual details" on the back. The ruling is different from a decision in the U.S. last month, where Apple won a temporary injunction barring sales of Samsung's Galaxy Tab 10.1. U.S. District Court Judge Lucy Koh found that Samsung did in fact infringe on Apple's design patents. She ruled that Samsung "does not have a right to compete unfairly by flooding the market with infringing products." While Apple didn't find the same success in the U.K., the iPad maker does have 21 days to appeal the decision issued on Monday by Judge Birss. Previously, Apple has successfully argued for temporary injunctions in Australia and Germany. 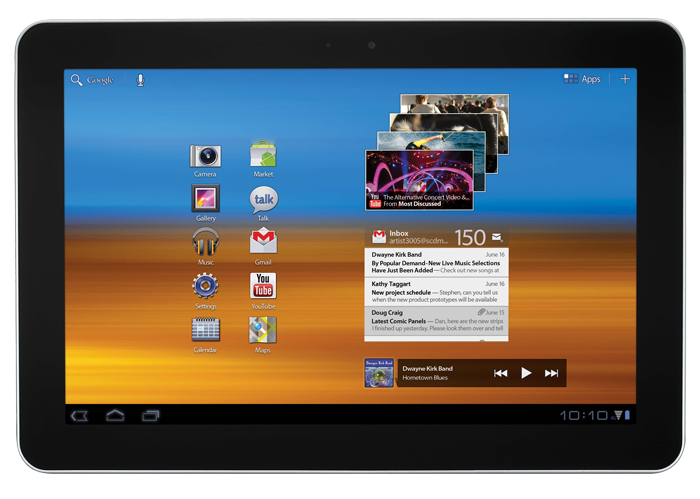 Samsung dodged the German injunction by releasing a slightly-redesigned Galaxy Tab 10.1N. Meanwhile, the Australian ban was overturned last November.